Pakistan is the sixth most populous country in the world with approximately 21 million internet users (which may not rank it amongst the top in the world) and with a mobile phone penetration that is amongst the highest per capita in the world. A country which has now almost 8 million Facebook users, around one million twitter users, about 1.1 million linkedin users surely presents a picture of an ever expanding potential of acquiring internet base. Common populace having basic knowledge of technology is generally receptive to start up initiative. Internet industry has especially got a boost in the last of couple of years when world’s largest incubators started taking interest in Pakistani market. Launching an internet business is not a new practice entirely, as the country saw it’s first online venture launched way back in 2001 with the name of Beliscity.pk which was a huge success. 2012 and 2013 , was the year that can be easily termed as the most remarkable year in terms of internet business in Pakistan. 2012 witnessed launch of Pakistan’s most trusted online portal of couriers called as TCS connect. They offer products like computers, cell phones, home appliances and even to some extent small auto related gadgets through their online shopping portal. This was the time when world’s largest internet incubators plunged into Pakistani start up scene. Top internet incubators that have been running successfully their ventures around the globe in more than 25 countries knew that Pakistan is the future of internet business. Starting off with Daraz.pk which claims to offer unparalleled shopping experience in Pakistan. 2013 was never behind in the competition and made Pakistan even more proud with launch of many new start ups, Once again the most notably was carmudi.pk, an online portal dedicated to providing Pakistanis an easy access to best vehicles available in domestic market. 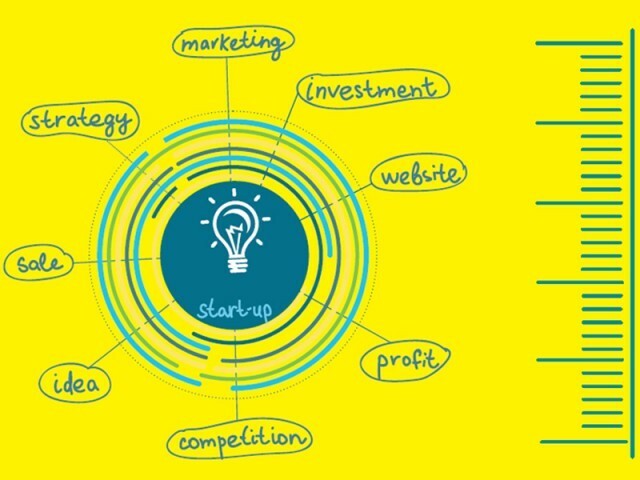 This year also celebrated the first ever startup cup competition in Pakistan which came up with a unique idea of encouraging and awarding young entrepreneurs who can come up with any business idea. It also provides a base for them to turn their idea into a healthy business. We need to realize the fact that Pakistan’s biggest potential lies in the huge population of it’s talented youth. Despite having many problems like internet connectivity issues, lack of venture capital groups, unstable market, improper infrastructure and many more, the country is eager to excel and explore this dynamic field. Google’s head for Emerging Market Development, Jana Levene was very right when few years back she stated that “Pakistan is at least a $400 to $500 million dollars industry and a safe place to start business”.The picture is not bleak at all, the potential is always there. Efforts are being made on both levels i.e state and individual. Recently government of Punjab launched it’s first technology incubator to support start ups called plan 9 under supervision of Dr. Umar Saif who has a cambridge Ph. d and MIT postdoc in his bag, trying tirelessly to remake Pakistan’s entrepreneurial future. Regular competitions like softcom among educational institutions to boost entrepreneurial spirit are putting the country on right track. The future of Pakistan’s internet start up will be much bigger than anybody can ever imagine.This should be firmly kept in mind that we are a country with GDP of almost 231,2 billion USD which may not be huge enough as compared to most developed countries, then the question arises what keeps our economy moving? Yes, the Remittances, Pakistan receives almost $ 14-14.5 billion through sources outside country which is surprisingly more than the total tax collections that touch the figure of $11 billion annually approximately. This is very important to clarify that money flowing from outside into Pakistan has two types: one from Pakistanis working abroad, and the other through internet start up industry. This industry consists of globally outsourced services. We should believe in the fact that the secret of being prosperous for Pakistan will be determined by success of innovative companies. The success of Pakistani entrepreneurs will not only create possibilities and opportunities for Pakistanis but rather the whole world.